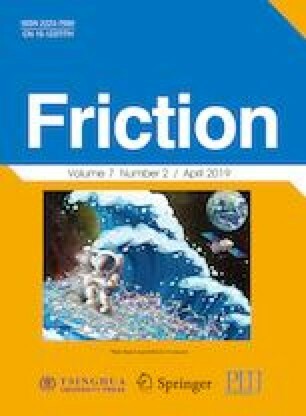 In this study, CoCrFeNiTi0.5Alx high-entropy alloys were produced by induction melting and their dry sliding wear behavior was examined at different temperatures. In addition to face-centered cubic (FCC) phases, low amounts of a tetragonal phase were detected in the microstructures of alloys without Al and microscratches were formed by wear particles on the worn surfaces of the alloy specimens. Two body-centered cubic (BCC) phases were detected in the alloy with 0.5Al and a fatigue-related extrusion wear mechanism was detected on the worn surface. The alloy specimen with a high Al content exhibited the best wear characteristics. No wear tracks were formed in single-phase BCC intermetallic alloys at room temperature and they exhibited a higher wear strength at high temperatures when compared to other samples. Azmi ERDOĞAN. He was born in 1986 and graduated from Faculty of Chemical and Metallurgical Engineering, Yıldız Technical University in 2009. He received his Ph.D degree in material science and engineering in 2018 from Sakarya University. He began his career at Bartın University as a research assistant from 2010. His research interests include high-entropy alloys, ECAS, tribology, and surface technologies. Mustafa SABRI GÖK. He is the head of Mechanical Engineering, Faculty of Engineering, Bartın University, Turkey. He graduated from Faculty of Technology, Fırat University in 1996. Prof. Gök received his Ph.D degree in 2008 from Fırat University. He became a professor in 2018. His research area is mainly about the friction and wear behavior of materials. Sakin ZEYTIN. He was born in 1957 in Trabzon, Turkey. He received his bachelor degree in metallurgical engineering from Istanbul Technical University in 1980, master degree in 1982, and Ph.D in 1990, from ITU Institute of Science and Technology. He began his career at ITU as a research assistant (1982–1988). He worked in Çelikord Inc. as a quality engineer (1988–1989) and at TÜBİTAK as an expert researcher (1989–1993). In 1994, he joined Sakarya University. He became a professor in 2006. His research area is mainly about surface technology, intermetallics, and fracture analysis.